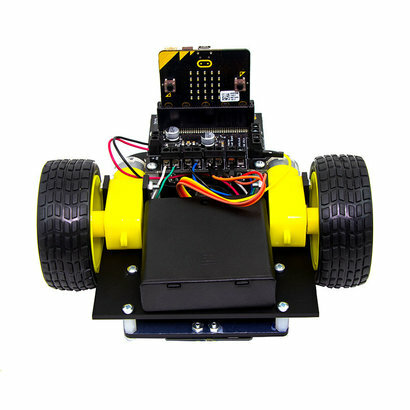 The Line Following Buggy with :MOVE line following board for the BBC microbit is the newest version of our very popular line following buggy. 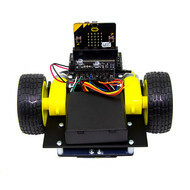 It offers a significant upgrade in the form of our new :MOVE line following board. 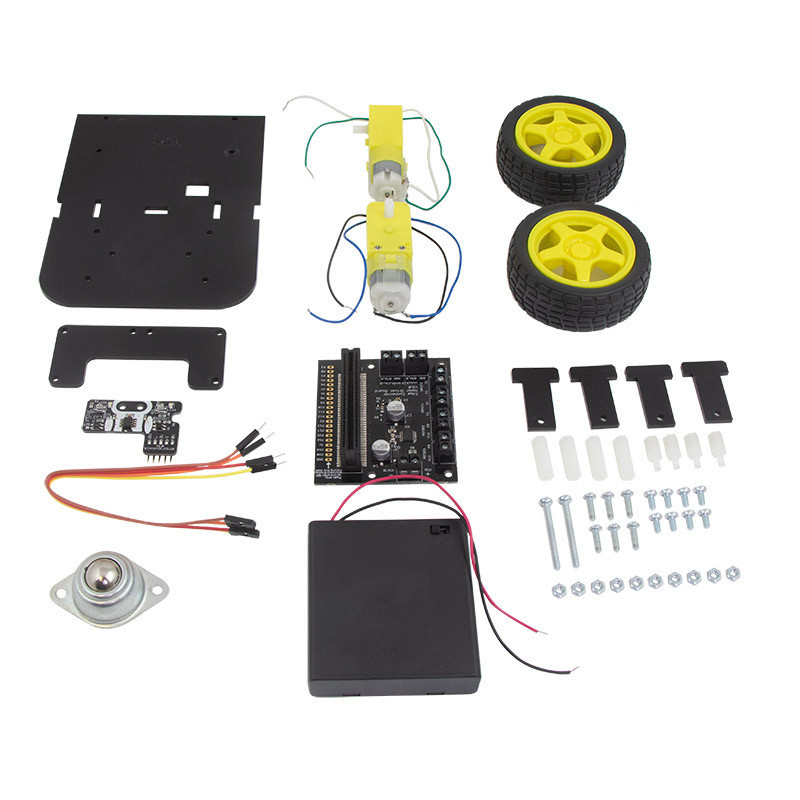 Not only does it provide far superior line following it also makes the kit much easier to assemble, making it a suitable activity for younger children. The line following board is supplied pre-assembled, so no soldering of components is required. The only soldering required for assembly is to attach the wires to the two motors. The board design is such that the buggy can either follow a dark line on a light background or a light line on a dark background. For best results, ensure there is approx. 5mm clearance between the bottom of the board and the driving surface. Also, thesensitivity of the line following can be adjusted via the two onboard pots, one for each detector. The same pots are also used to change the type of line that will be followed; to detect darker, turn the pot clockwise and to detect lighter, turn the pot anti-clockwise. 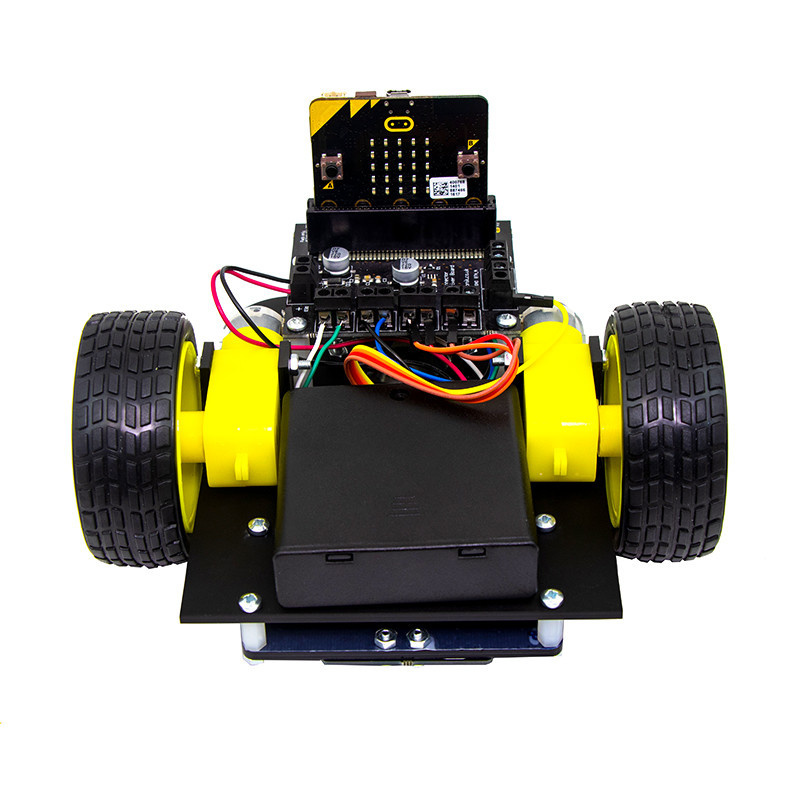 In addition, although the buggy has been designed to follow lines, due to the flexibility of both the microbit and the Kitronik Motor Driver board it can also be used as a remote-controlled robot buggy. Kitronik has an App for that! The kit features a new and improved line following board. It can be configured to either follow a dark line on a light back ground or a light line on a dark background. The line following sensitivity can be adjusted with a screwdriver. Example line following code is provided. Also, the buggy can easily be re-purposed for remote control over Bluetooth or Radio. 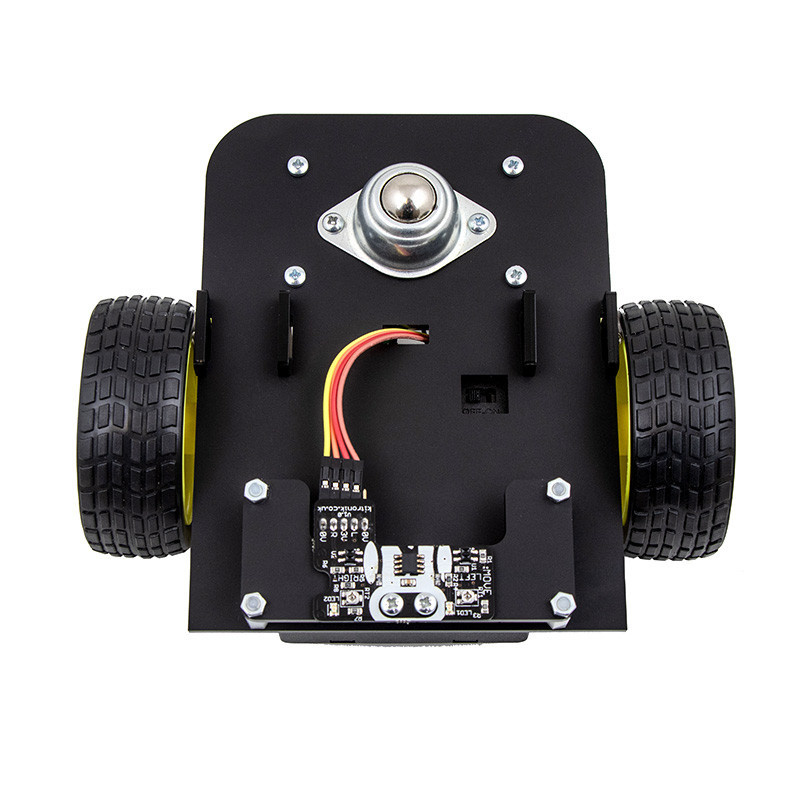 2 x Right Angle Hobby Geared Motor. 2 x Wheel for Hobby Motor. 1 x Motor Driver Board V2 for the BBC micro:bit. 1 x Steel Ball Caster 16mm Metal Ball. 1 x 4xAA Battery Box with Switch. 1 x MOVE Line Following Board. 1 x Perspex Buggy Chassis. 1 x Perspex :MOVE board mount. 1 x 1mm x 12mm x 25mm Foam Pad. 4 x Plastic Spacer 20mm. 12 x Pan Head M3 6mm Machine Screw. 4 x Pan Head M3 10mm Machine Screw. 10 x M3 Hex Full Width Nut. 4 x Plastic Hex M3 Standoff, M-F.
2 x Pan Head M3 30mm Machine Screw. 10 x Jumper Wires 20cm M/F. 1 x 15cm Multi-strand Cable, Black. 1 x 15cm Multi-strand Cable, White. 1 x 15cm Multi-strand Cable, Green. 1 x 15cm Multi-strand Cable, Blue. A small flat head screwdriver. A soldering iron and some solder. A computer with a spare USB port and Internet access. A USB to micro USB cable.